Synopsis: Set against the glamorous backdrop of the 1930s in Australia and overseas, A Dangerous Language is the latest in the much loved, award winning Rowland Sinclair Mysteries. When Rowland Sinclair volunteers his services as a pilot to fly the renowned international peace advocate, Egon Kisch, between Fremantle and Melbourne, he is unaware of how hard Australia’s new Attorney-General will fight to keep the “raging reporter” off Australian soil. In this, it seems, the government is not alone, as clandestine right-wing militias reconstitute into deadly strike forces. 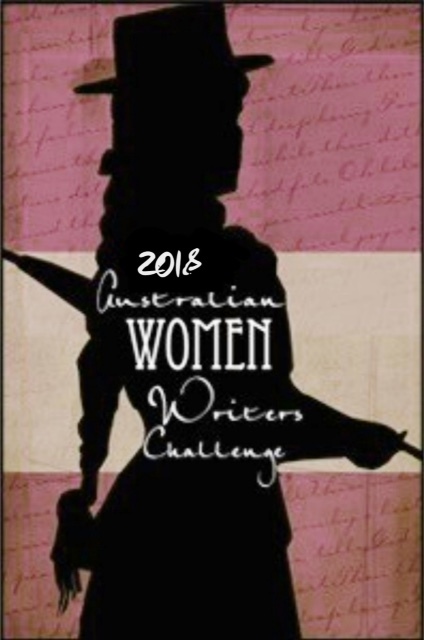 A Dangerous Language by Sulari Gentill marks book number thirty eight in my Australian Women Writer’s challenge for 2017, and as usual, has not failed to impress and of course, distress at times. Now in 1934, inching closer to the threat of war, Rowland is in Melbourne, purchasing a new car to replace his beloved Mercedes, that met with destruction in the almost fatal car race of the previous book, Give The Devil His Due. The trip back from Melbourne with Clyde Watson Jones and Milton Isaacs, an artist and poet whose political allegiances, especially on Milt’s account, have put Rowland in his brother’s firing line of anguish, should be uneventful. However, their sojourn through Canberra, where they are to meet Edna, Milt stumbles across the body of a Communist on the steps of Parliament House – an event that beings the tumultuous venture to get Egon Kisch into Australia, and speaking out against the Fascist tendencies that Rowland and his friends witnessed in Germany in Paving the New Road. When Rowland’s brother, Wilfred, comes onto the scene, Rowly must do whatever he can to keep his plans to help Egon away from his conservative brother – who nonetheless knows that the Fascists are dangerous. Even so, the big brother is also keen to pry his mostly apolitical brother away from the influence of those Rowland chooses to keep company with. In this eighth venture, politics begins to have a larger focus than in the previous seven novels, where it was present, but had less impact on the plot. In this novel, it seems nobody is safe from the clashes between each side – this is what makes the novel gripping, as it ensures that those who hurt Milt and Rowly (poor Rowland was in the wars a bit in this one again) are shrouded in mystery. As always, I enjoy the Rowland Sinclair novels, and this one was two years in the waiting, and rightly so in the end, because it captured the political turbulence and environment of the 1930s in a way that is accessible to those just discovering it, and highlighting some aspects and characters that are perhaps less well-known than others during this time. Fiction often offers parallels to history or contemporary times, and it is not hard to see how the dangerous language that Rowland and his friends opposed in 1934 from Fascists and the conservatives of the time is repeating itself today. The feelings of powerlessness that the ordinary people had against those in politics and with influence that can encourage this dangerous language Rowland dislikes are felt through Milt and Clyde throughout the novel, and in particular Clyde during a boat cruise from Fremantle to Melbourne, where they must ensure Egon gets to Melbourne safely, and in Traveller’s Class, Rowland is able to get Egon as far as possible on his trip. The social class contrast between Rowland and his friends appears even more so in this book, where class and politics have become crucial to the evolution of the plot and characters at the stage of the series. The history of this turbulent period is woven into the plot and is sometimes the motive behind the crime, such as in A Dangerous Language. I also enjoy the inclusion of historical figures and people throughout that had an impact on history – this gives the stories an authenticity to them that is both exciting and informative at the same time. As always, Rowland takes a few hits from people trying to cover up their crime, or another secret, and his brother Wilfred, battle-weary by now from saving the family name, is still faithful to Rowland, if a bit pompous at times. I do feel for Rowly when Wilfred loses his temper, as so often happens when Rowland stumbles into something he didn’t intend to. As polar opposites, Sulari has created exceptional characters in the Sinclair family, and their friends, including the heartbreak that Rowland’s own mother doesn’t recognise him, but sees him as his long-dead brother, Aubrey, an ongoing theme throughout the series that Rowland takes in his stride, and that Sulari has written exceptionally well. The Rowland Sinclair series is one that gets better with each subsequent mystery, and the uniquely Australian settings are in themselves a character – from Woodlands estate in Sydney, to the family property at Yass, and each place Rowland and his friends visit. They are often the unwilling detectives at first, dedicated to their art and friendship, but also dedicated to speaking out when and where they need to, to ensure that the dangerous language that Egon Kisch is trying to warn against does not infect the way of life that many in Australia enjoy. Once they are involved in the crime, it seems they cannot help themselves, and Rowland, as an honourable person, is always at hand to warn Colin Delaney of new information they stumble across. An excellent addition to this series, and I look forward to the next one, which will hopefully be out soon! With 2016 coming to an end, I have started thinking about my wrap up post of the books I have read, and the challenge I participated in – a post I will only write once I know my challenge results. This will be included in a 2016 wrap up post of what I have read, how many books I read, and hopefully, a list of the top five I read, though that might be a bit of a challenge, having read so many good books this year. Next year, I am aiming to read as much as I did this year, or perhaps more, and hopefully, do more reviews, more blog posts and more about reading, authors, and other posts that come to mind. I missed out on a few significant literary anniversaries this year, so I plan to keep on top of that. I plan to try and review other books as well as what I am sent by publishers – the beauty there is I can review older books as well, and hopefully introduce these to new readers. This year my Goodreads goal was 45 books – so far I have surpassed that by at least 20, including re-reads of a few favourites, but more on that in my yearly wrap up post. 2017 is my first year without studies. I will be reading more as a result, probably, and writing more. More blog posts, definitely, in the categories mentioned above. I hope to read some more non-fiction, in particular a book I picked up about pre 1788 Australia, pre-colonialism. We need books like this to do away with common misconceptions taught within our history classes, to discover the history we never get to learn in school – or even university in my case. I am sure there are others, however, those are my top four and I eagerly await their release, especially the Pantera Press ones to find out what happens to Rowly and his friends, but also to Alex, Jordan, Bear and D.C. after that heart stopping cliffhanger in Raelia! At some stage, I may need to re-read Arkanae and Raelia before reading Draekora! Apart from that, I will be reading any review copies I am sent, and trying to read all my other books. There are so many I need to read. Looking foward to the coming year of reading, and will hopefully be able to set my challenges if any, early in the New Year. Give the Devil His Due by Sulari Gentill. Our latest adventure with Rowland picks up soon after the events of A Murder Unmentioned, which unravelled the mystery of the death of Henry Sinclair, Rowly’s father. Give The Devil His Due has Rowly preparing for the charity race at the Killer Track, the Maroubra Speedway. At the same time, he is still haunted by what he saw and went through in Germany, in Paving the New Road. The journey to the race and eventual exhibition of his paintings of Nazi Germany is fraught with disaster. First, Rowly must deal with Crispin White, a journalist determined to make more of Rowly’s association with Milt, the Communist, his father’s death, and his time in Germany, rather than report on the race. Once White’s body is found at Magdalene’s House of the Macabre, Rowly and his friends are plunged into a world of black magic, where they encounter Rosaleen Norton, the future Witch of King’s Cross, whose stories about the macabre are far more interesting to her than her take over of the article on Rowly and his racing team, which includes Errol Flynn. With each step, Rowly and his crew find themselves in more danger, leading up to a disastrous event that had my heart racing as I read it. One of my favourite things about this and the other Rowland Sinclair books, is the way Sulari weaves history and historical figures through the narrative, and their interaction with Rowland. Just like the other books, Give The Devil His Due does not fail to deliver on mystery, history and laughs. Yet it is the change in Rowland since book four that has had a significant impact on the narrative – his feelings of helplessness at not being able to stop what happened in Germany, and at not being able to make people see what is going on there are powerful. The continuation of them in book seven hint at what is to come, and hint at what we, as the readers, know happens in the lead up to World War Two, and the realisation of the truth. When one of Rowly’s teammates for the race is killed in a freak accident during a training session, threats come thick and fast to Rowly from the victim’s sister, and the discovery of the word “Eternity” written throughout Sydney, and an encounter with Arthur Stace, lead to a kidnapping, and the series of events that unravels the true killer, it is Rowly and his friends, together with Detective Delaney, who unmask them. Give the Devil His Due was a thoroughly enjoyable installment of the Rowland Sinclair series, and one that had me on edge at certain moments, just as any good Rowly story does.